Although, you can get away with capturing many events on smartphones, for your grand wedding, you obviously want a professional photographer. Wedding is truly a milestone life event and you need to be sure the day is captured successfully. Choosing a photographer is one of the most crucial decisions to make when planning your grand wedding day. There are plenty of things to consider, as extensive options of wedding photographers in Australia can be overwhelming for you. The top photographers in Sydney provide high quality, contemporary style images with variations. Pick a professional who not only delivers reliable and friendly service or excellent quality results but also takes care of the event from start to finish with advice in every step. Let’s have a look at some quick tips to help you get the best bang for your buck. Since the ‘firing squad’ style that your grandparents and parents have undergone, bridal photography has come a long way. Starting from the traditional approach where the happy couple along with the in-laws are usually seen posing stiffly by the church door, there’s now documentary, fine-art and many more on the list. Journalistic or storytelling wedding photography has gained much preference in the last decade or so, and there are many pros specialized in this candid and relaxed manner. Professional photographers work closely with you to capture exclusively special moments and attain your vision on your perfect day. Fine art photography style results in flawless images of extraordinary finish and quality that are as amazing, individual and special as your relationship. Followed by your personal taste and style, advanced photography technique expresses your emotion and joy of togetherness. Try and ensure that it’s just the way you want. However, you can’t complain that there are insufficient formal shots, if you book a photographer who specializes in natural, street-photo images in black and white texture. You can also opt for high-end lighting effects if you want to expend more. An experienced, skilled wedding shooter may charge anything between $2000 to $6000 as a ballpark figure and this also includes a pre-wedding shoot. Booking a pair of photographers for the day will give you some additional peace of mind. If you want to pick a wedding photographer blind, primary considerations are clearly how long they have been in the business and how many wedding events they have shot. While you can avail the services from not so skilled photographers at a cheaper price, you may be welcoming more of a hazard. It is a good sign if the photographer is a member of a professional establishment, but seek someone with a distinction award. Anybody can join the Wedding Photojournalist Association, but it takes actual skill to get an Associate-ship, Licentiate-ship, or Fellowship distinction. Graduates from a renowned wedding photography school are also recommended. Inquire whether their photos have been published in wedding blogs or photography magazines too. Browse through reviews from recent brides along with several local listings. To get an idea of the style, attentively review websites and blogs of potential photographers to check out other wedding photos they’ve shot. You may also get clues about the shooter’s taste and sensitivity from the design of his website. Also, if possible, check out their Twitter, Facebook and Instagram pages to see whether the feedback from his end clients is positive or the photographer responds. Select a photographer who has pictures in the portfolio capturing the way you would like to recall your commitment ceremony. Your decision can’t be made on the web presence alone. You should meet the professionals personally. Meeting the candidates of your choice is also important. If you like the information displayed on a particular site and the fees are within your budget, contact to know if they’re available on your wedding date. Set up in-person meetings with three to five potential photographers depending on their availability, see more of their work and assess whether they suit your requirement. Ask them detailed questions and see, if both you and your partner easily gel with them. You need someone who will fit in on the big day, and be able to take control of the camera without spoiling the ambiance or irritating other guests. Meeting some prospective professionals will get you a fair idea of what can be expected for your ballpark range. Be prepared to talk about your wedding style, venue and things that you envision for your photos. Expert wedding photographers will superbly capture your moments of beauty and intimacy, communicating sans words the power of your unique bond and the ecstasy of your love. With quality experience, technical skill and expertise in the field of photography and videography, pros will offer the best possible experience for you, your partner and loved ones on the grand wedding day. Experienced wedding photographers strive to make you feel at ease and pleasant in front of the camera to make your wedding day as satisfying as possible. 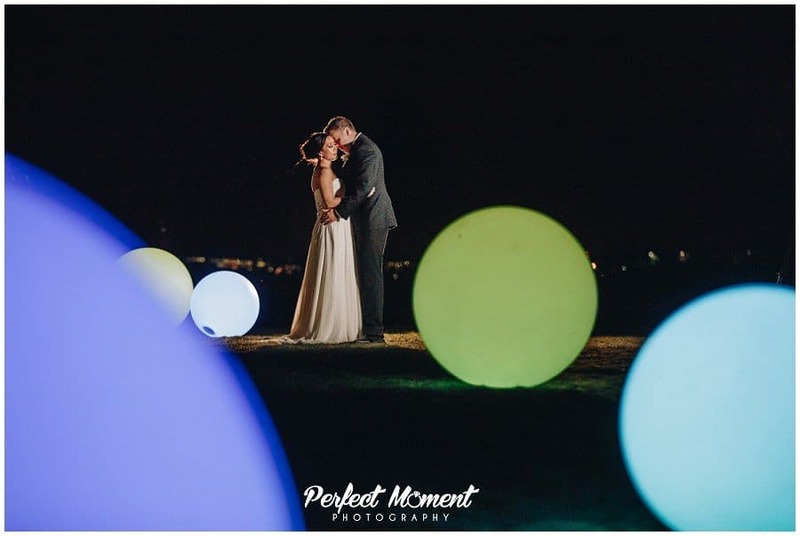 They specialize in a range of services customized to suit your requirements, whether you are looking for reasonable wedding photography in Sydney or elsewhere in Australia. Count on the perfectionists to capture the perfect moment of your life with appropriate and excellent imagery. Choose a photography studio that has a dedicated team of skilled photographers who believe that valuable memories must last a lifetime, through artful and elegant images that are a true reflection of the wedding event – your dream day. A wonderful photo can perfectly capture all of the feelings and emotion of the moment and it has the power to transport you back in time, every time you revisit them even years down the line. Capture your special day, because precious moments can’t be relived! On the most significant day of your life, you need a wedding photography professional for beautifully putting your celebration of love and commitment on record. Run of the mill wedding shooters are a dime a dozen, although, passionate experts are few. So, hire a professional with a wealth of expertise and experience. Hopefully, the above discussion will help you select the best wedding photographer in Sydney. Yes, every couple should have the best on their special day, be it a lavish or understated, small event. So, if your wedding date is set and both you and your would-be-groom haven’t yet come to a conclusion, it’s high time to focus! Take your time, plan ahead, do your research and hire a photographer who will do an exclusive pre-wedding shoot, reach early on the day to capture the bride getting prepared, shoot the speeches, and stay till the first dance at the reception ceremony.